Kiddy Adventure Pack is the perfect baby carrier for parents who love to discover the world together with their little ones. Why should I buy the Kiddy Adventure Pack? The Kiddy Adventure Pack is the perfect companion for long walks and hikes with your child as it's incredibly lightweight at just 2.8kg. The softly padded waist belt and shoulder straps offer comfort. This baby carrier is adjustable, meaning that it should fit any adult. The adjustable harness system securely fastens around the child and the material of the seat cover adds a bit of luxurious comfort for the rider. This carrier is perfectly equipped for any kind of hike. The integrated sun and rain canopy can easily be extended depending on the weather conditions. A numerous amount of pockets make idle work for your storage needs with a drinks holder at the side for quick access. The stand can be automatically folded in and out while wearing the Kiddy Adventure Pack. This means that the carrier can be safely set down with the child inside. The Kiddy Adventure Pack carrier has softly padded fabrics with the addition of reflective inserts and piping to ensure maximum visibility when in use. The harness that is provided for the child has has three positions, and the seat unit adapts to the child's height. The material used in the seat cover and the removable and washable protective padding add that little bit of extra comfort. Small and tall parents can use The Kiddy Adventure Pack because of the adjustable backrest. 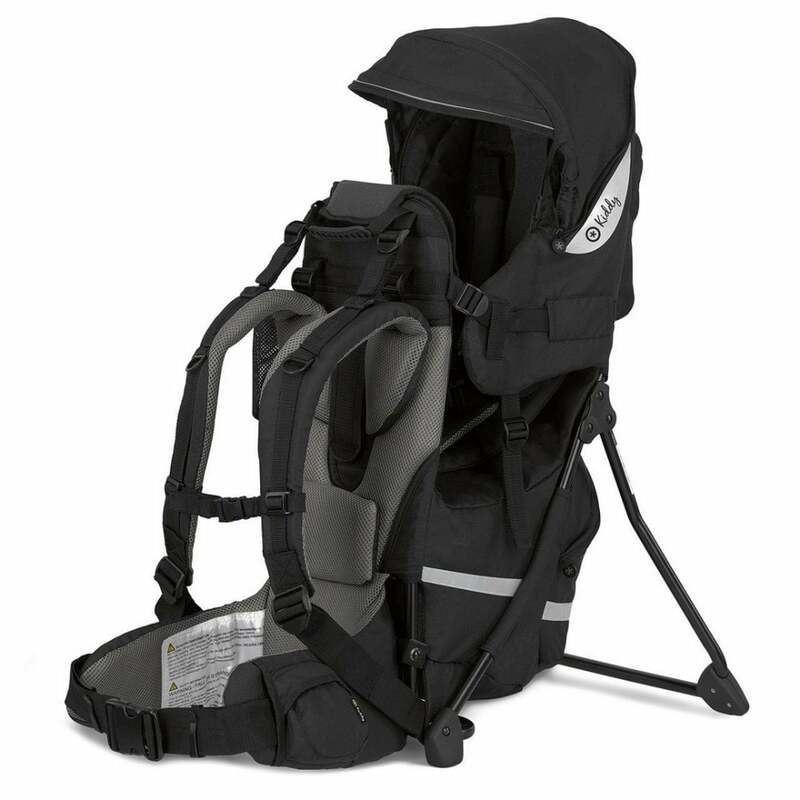 The ergonomic lumbar, hip and shoulder support give the Kiddy Adventure Pack a comfortable and supportive feel. The connection points between parent and carrier are made from a special breathable material. The multi faceted storage offer large pockets at the back of the carrier, small pockets on the waist belt and as mentioned, and the drinks holder on the side. You can fold the stand out with one hand whilst wearing the carrier so that the carrier can be set down at any time. The stand can be retracted again easily once back on wearer. What are the specifications of the Kiddy Adventure Pack? Is there a Manufacturer's Warranty for Kiddy Adventure Pack? Kiddy's 2 year warranty is extended to 3 years when you register within 3 months of purchase at http://register.kiddyuk.com/uk/register/. This applies to products within the UK mainland only.